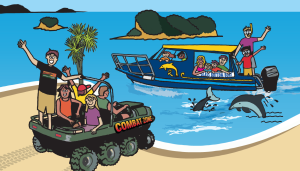 School Holiday Family Fun and Deals | Glass Bottom Boat - Cathedral Cove. Whitianga Boat Tour, includes snorkeling. An awesome Coromandel scenic tour. Spending the school holidays in Whitianga? Great idea! 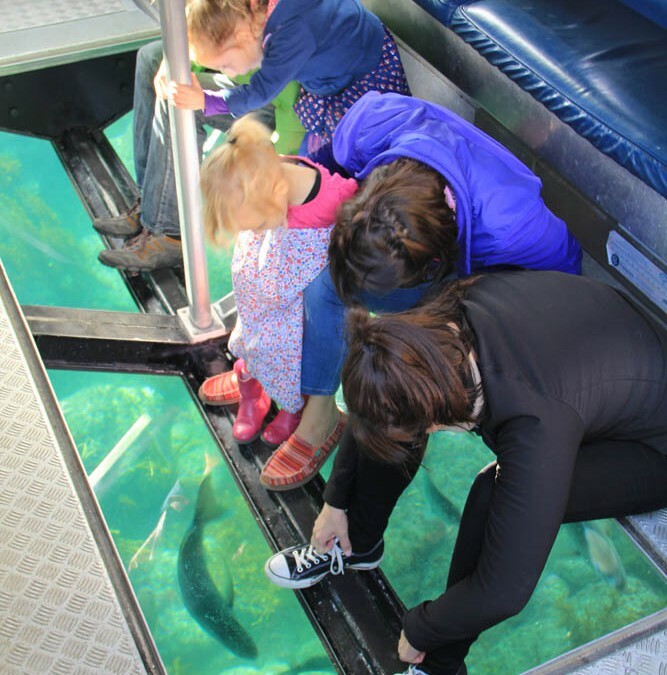 The Glass Bottom Boat is a great activity for a family of all sizes and ages. Bundle the family up and join us on an awesome experience to see Cathedral Cove, sea caves, blowholes and amazing volcanic rock formations. But the enjoyment doesn’t stop there as we exclusively offer a window in the underwater world. Sit back and watch all the marine life swim by right in front of you, as if you are in your own personal aquarium. Want a bit more of an adventure? Grab a set of snorkel equipment, available on the boat and take the plunge to snorkel with the fish. Try swimming under the glass panels to wave at everyone on board, a fantastic photo momento of your experience. Got your boat tour sorted so why not book your land activity at the same time and grab yourself a fantastic deal. Our Sea and Land adventure package with Fun Zone is the ultimate family package! we will give you a 10% discount on any SLAP package booked.